FMEAs (failure mode effective analysis), when effective, can help your product (and people) be safer, ensure that goals are met, reduce costs and time to produce products, meet regulatory and customer specific requirements (CSR), and increase customer satisfaction. What are FMEAs, and when do we do them? 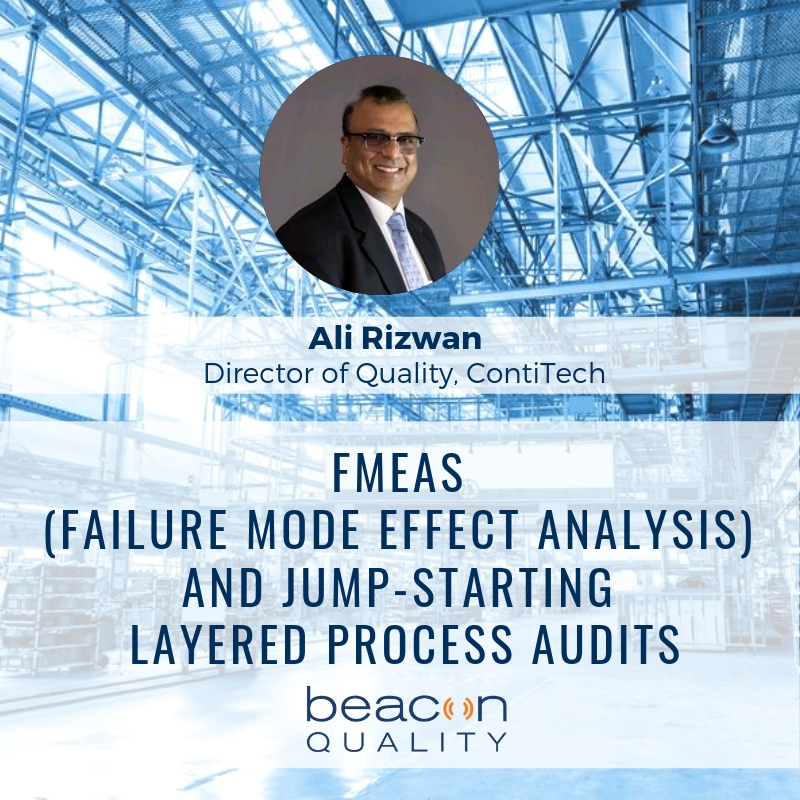 Ali Rizwan is the current Quality Director for Continental for over 11 years, will be sharing his secrets on effective FMEAs and LPAs . has been a regular speaker for Beacon Quality's "Culture of Excellence" webinar series.